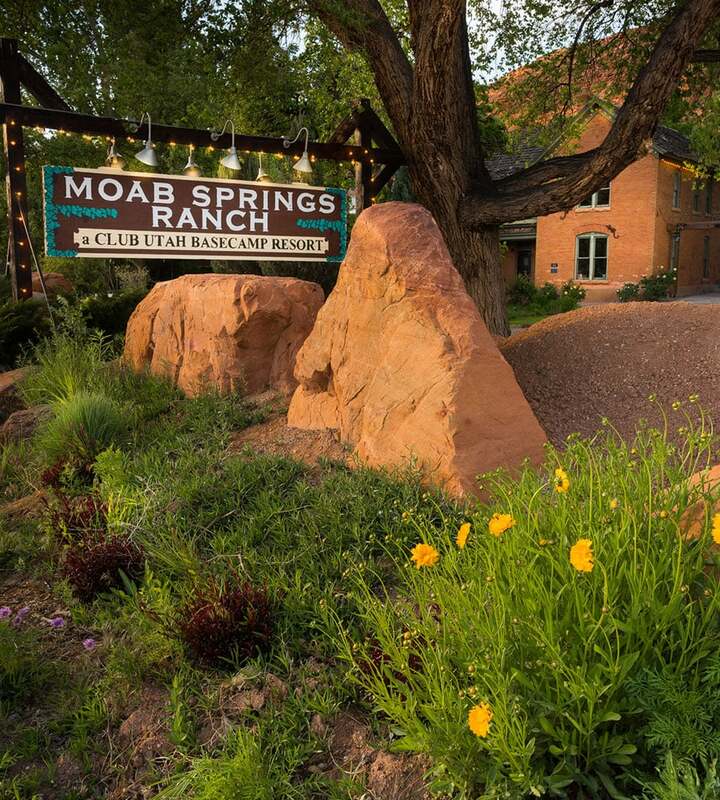 Welcome to Moab Springs Ranch. 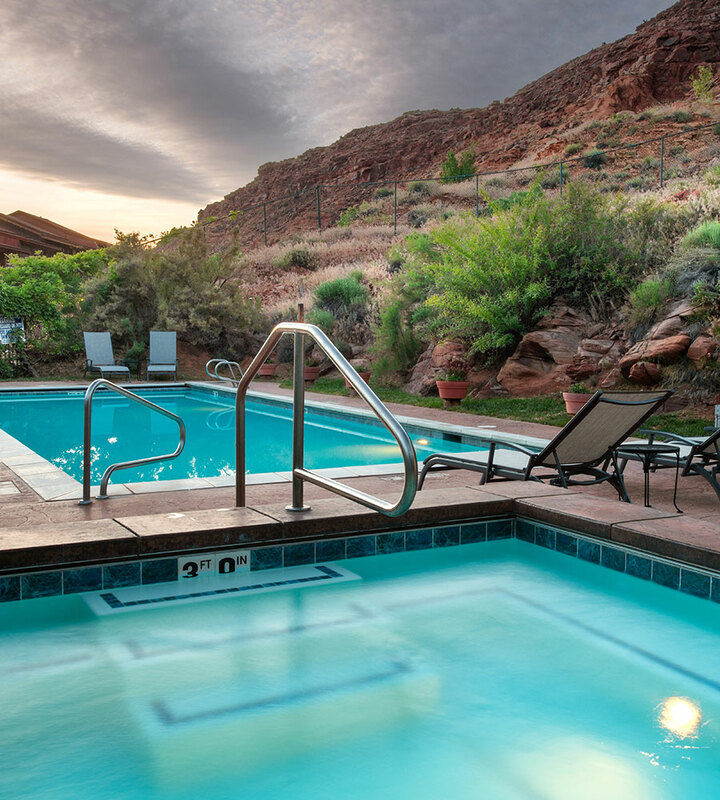 Nestled beneath Moab’s red rock is a cool, shady oasis of majestic cottonwood trees, a flowing waterscape and comfortable, stylish accommodations. 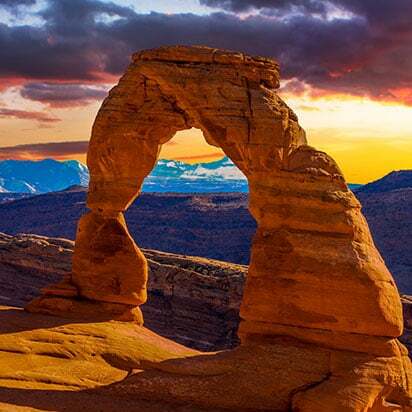 Perfectly located near Arches National Park, the Colorado River and downtown Moab, with bike in, bike-out access to Moab’s extensive trail network. We offer two types of accommodations: our stand-alone luxury bungalows with studio style living and our large one & two bedroom townhouses. The bungalows include kitchenettes, vaulted ceilings, private porches with outdoor dining sets and drive-up access. 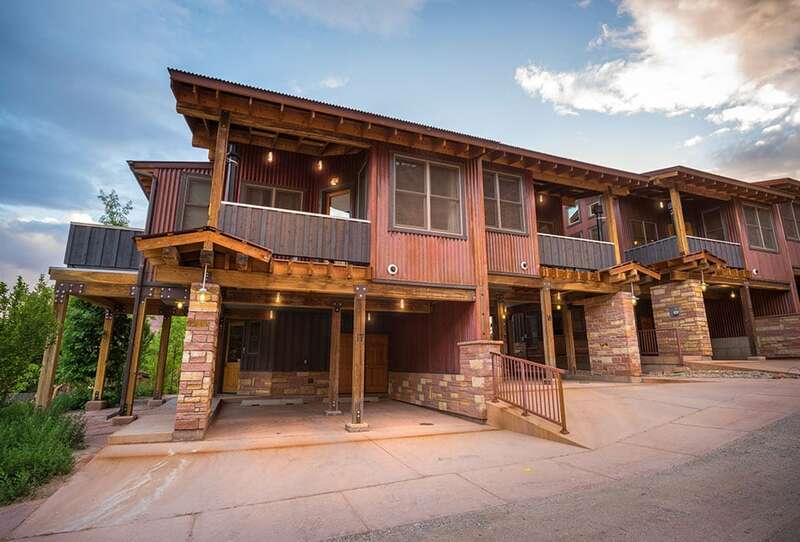 The stylish townhouses have separate bedrooms, complete kitchens and covered decks for outdoor dining. Both types of accommodations include access to our resort amenities. Our resort offers a large private park, ponds, pools, flowing waterscape, hammocks and shade. 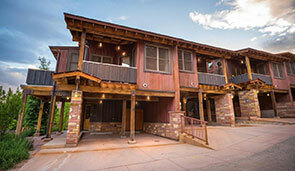 Not to mention a heated swimming pool and hot tub, campfire circle and spectacular sunset views. 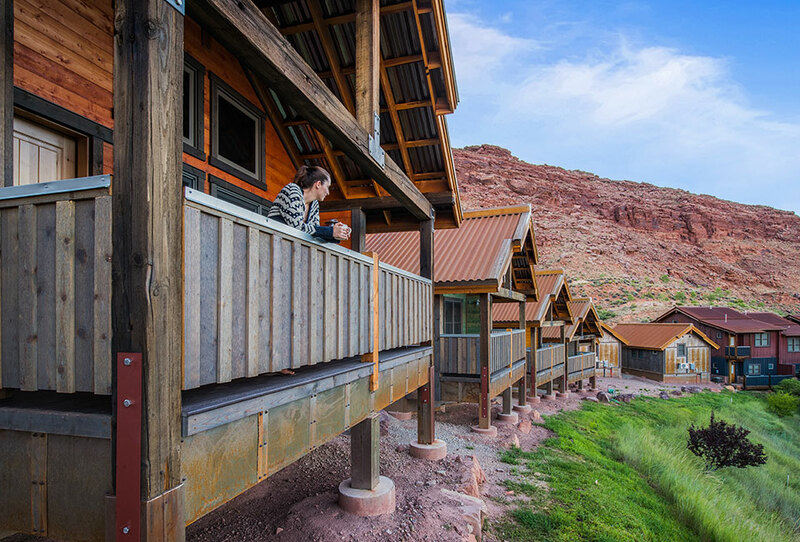 Our eco friendly property also provides direct trail access to the Moab wilderness, as well as other attractions such as the Colorado River, a nearby vineyard and National parks. Did we mention the hammocks? 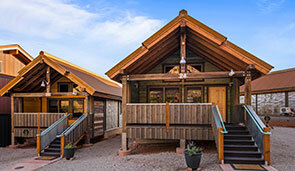 Book your accommodations online today - we’ll see you at the ranch! Enjoy spacious one and two bedroom townhouse accommodations featuring full kitchens and private furnished patio space. 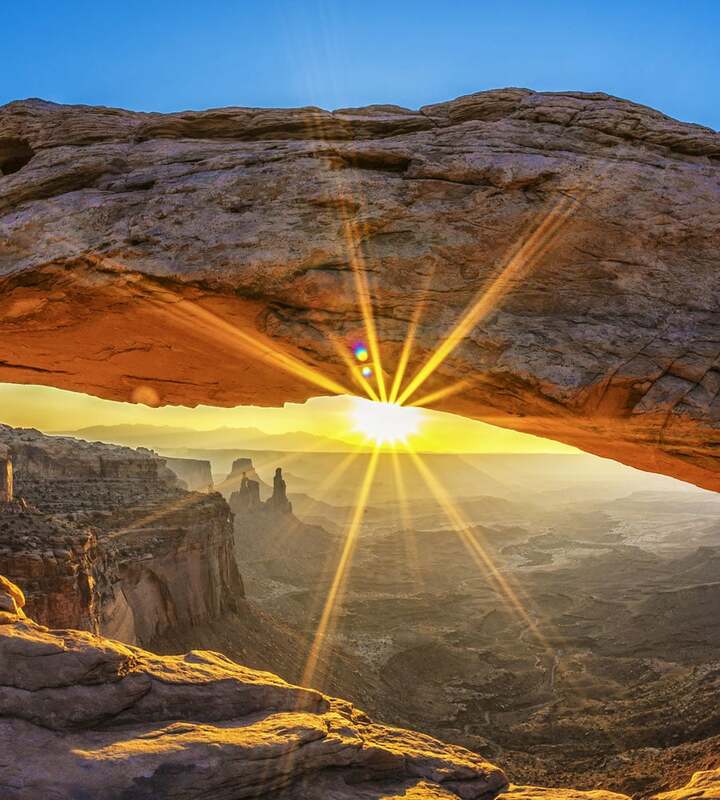 Explore the entire Moab area from our ranch, ideally located at the north end of Moab’s Main Street, one mile from Colorado River and Arches National Park. 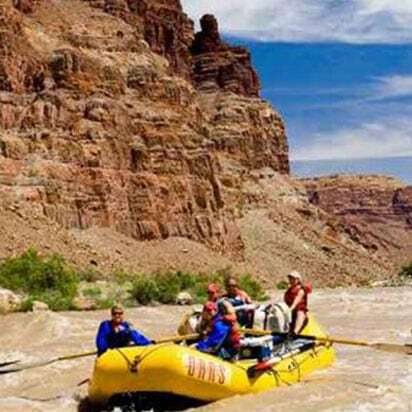 Our guests enjoy quick and easy access to all of the area’s natural landscapes, protected parks and the Colorado River. 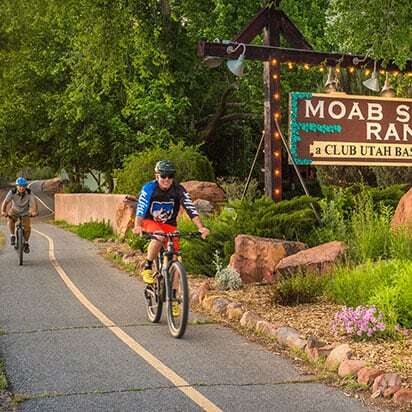 A quick drive - or better yet - bike out the front door onto the extensive Moab Area Bike trails network. 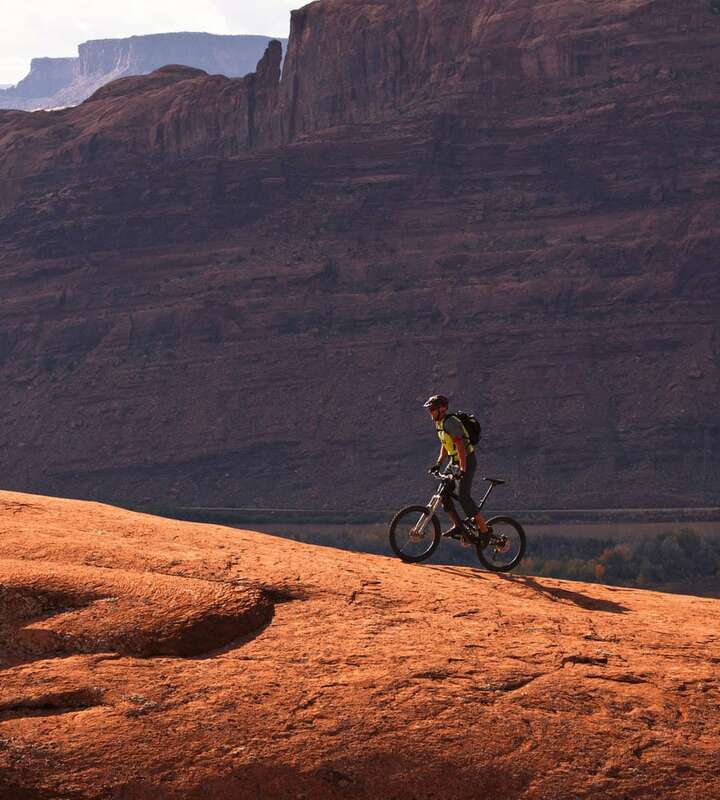 Hike or bike out the back door to the Slickrock Trail Mesa. Discover how invigorating a bike-in, bike-out vacation can be! 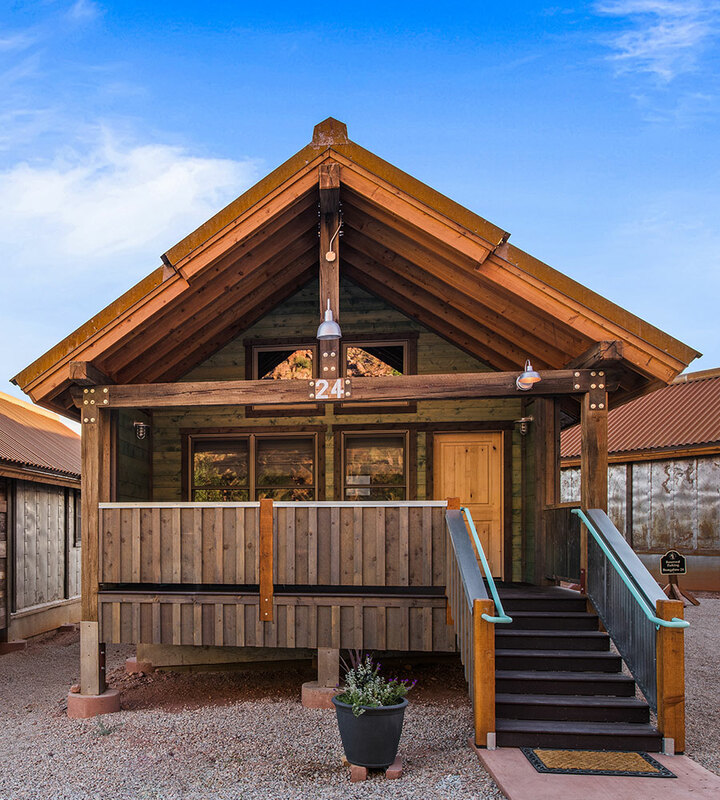 Our restored historic Ranch House was once the largest ranch homestead in the Moab area, and stretches all the way back to the pioneer-era and The Old Spanish Trail. Inspired by this rich history, the two-story red-brick building still serves as our main house, and informed the rest of the resort’s overall design, which boasts an incredible 12 acres of open space for you to discover. 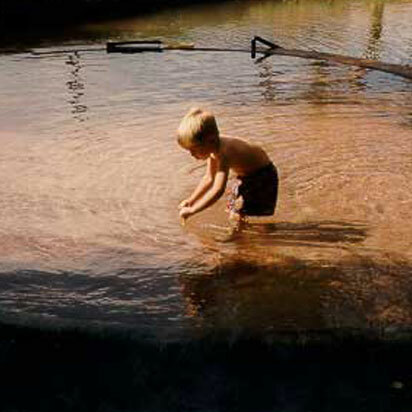 The history of Moab Springs Ranch begins with Native Americans who farmed the Moab Valley with the spring water. 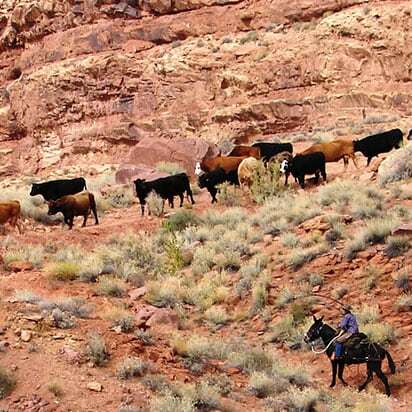 Moab’s first non-native settler chose this well-watered oasis and built stone cabins here. 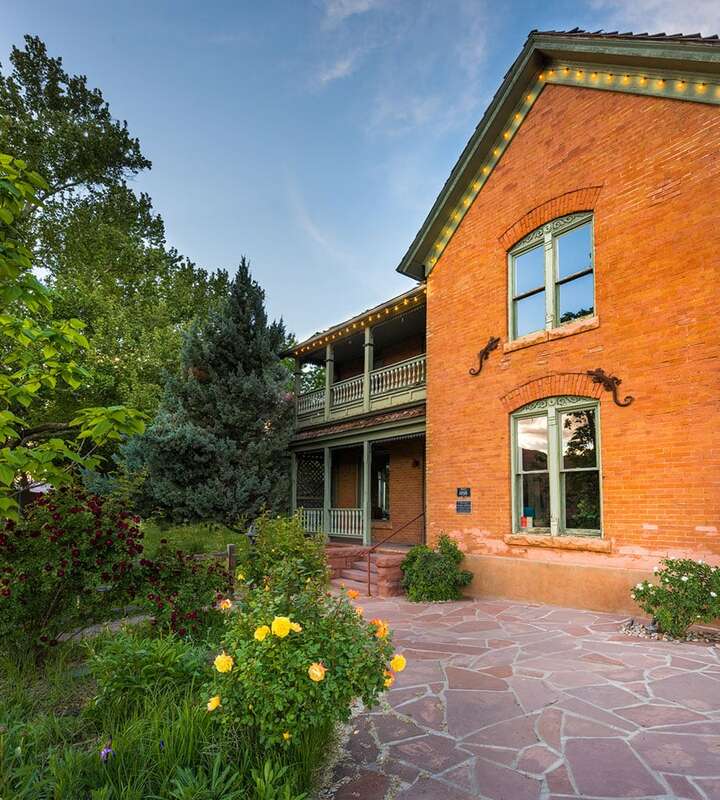 In the 1890’s the two-story National Historic Register Ranch House was completed. We have preserved the historic buildings and nurtured the grove of huge native cottonwood trees. Today’s visitor will find this place to be as welcoming as did the generations of desert wanderers who rested here.